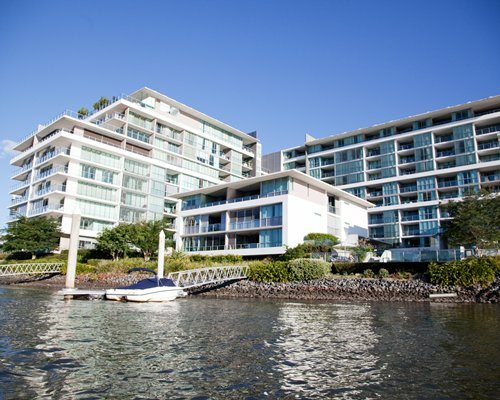 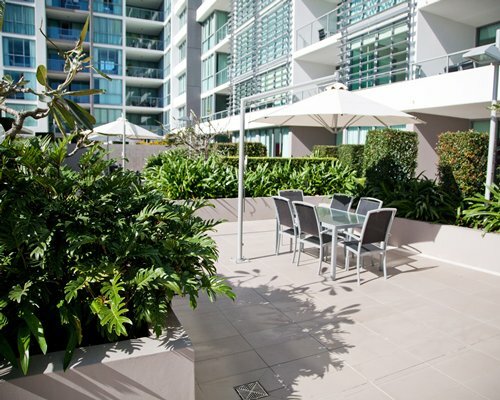 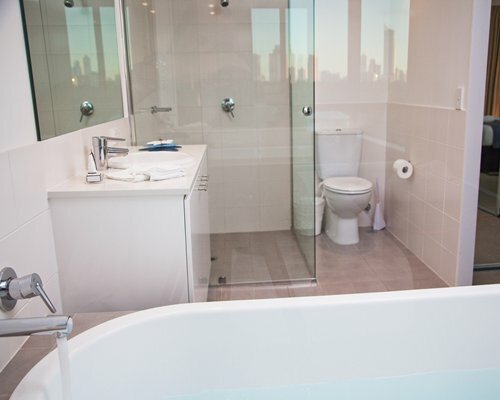 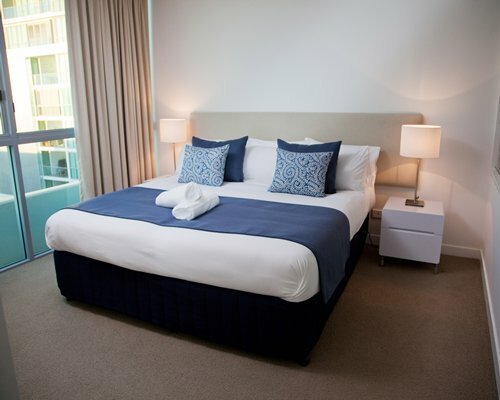 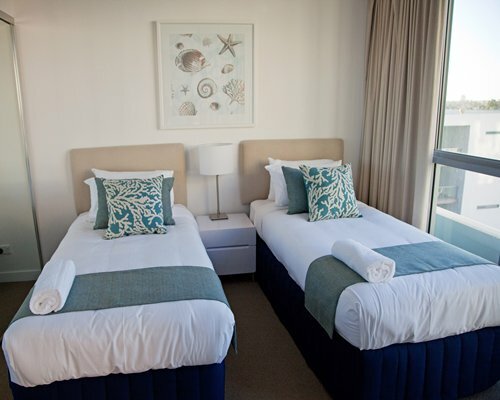 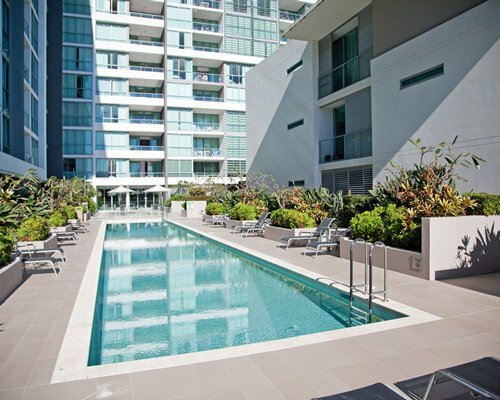 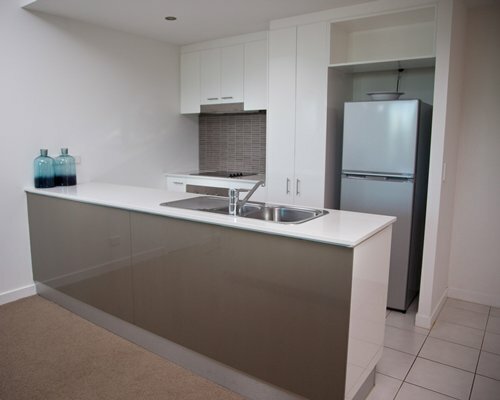 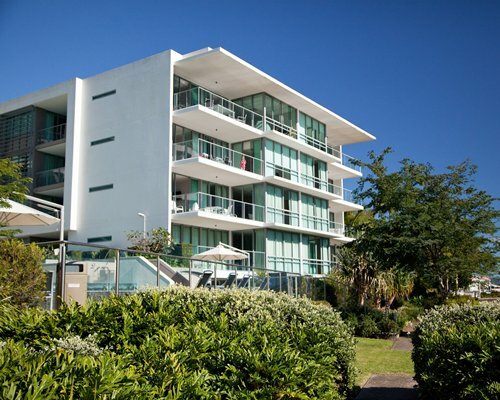 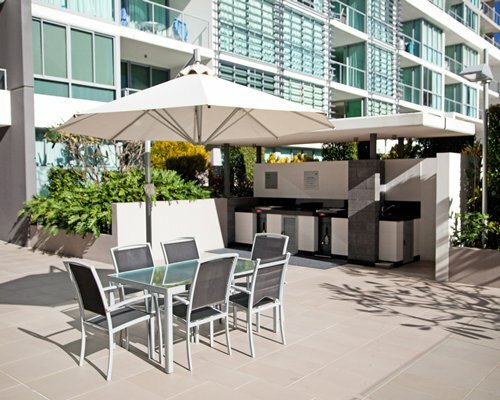 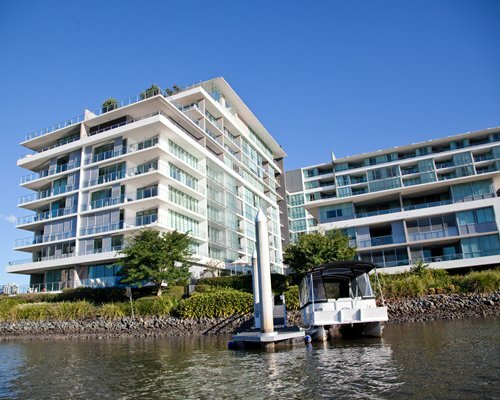 Freshwater Point Resort is located in a waterfront setting on the Nerang River, Broadbeach. 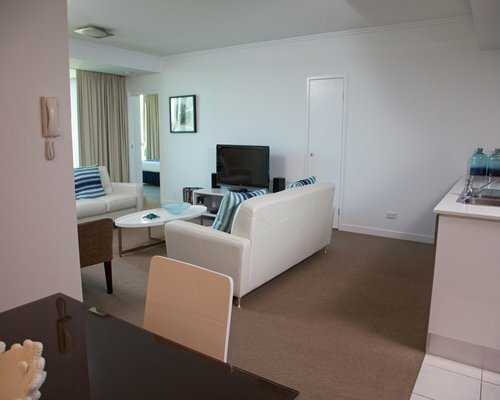 This newly built resort is ideally located for a perfect Gold Coast holiday and within walking distance of the Gold Coast Convention Center. 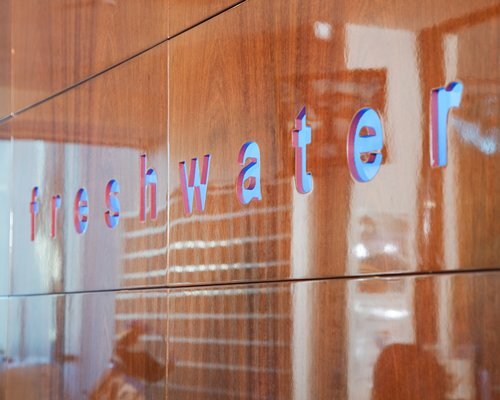 Freshwater Point Resort has an on-site cafe, heated pools, fully equipped gymnasium, children's play area, and game room that ensure that you get plenty of fun and relaxation. 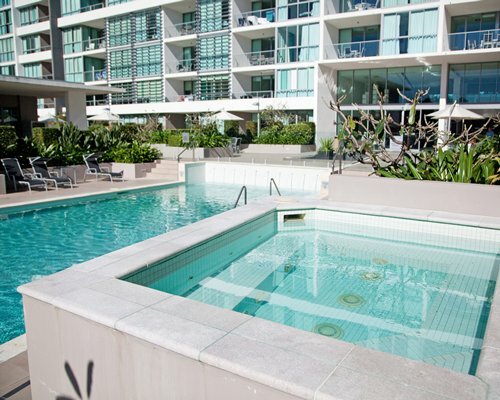 The famous Jupiters Casino is within walking distance, and Broadbeach Mall, where you can dine at any one of the award-winning restaurants, is only minutes away. 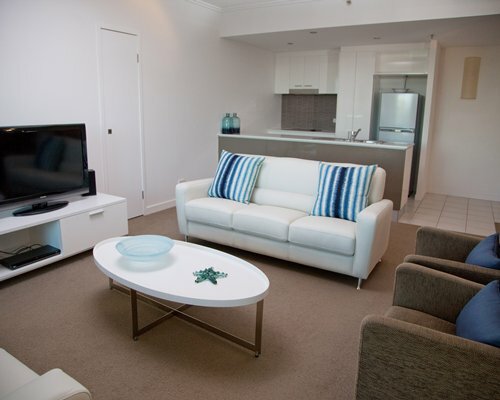 One bedroom sleeps 2 and two bedroom sleeps 4 both with kitchen and laundry facilitites. 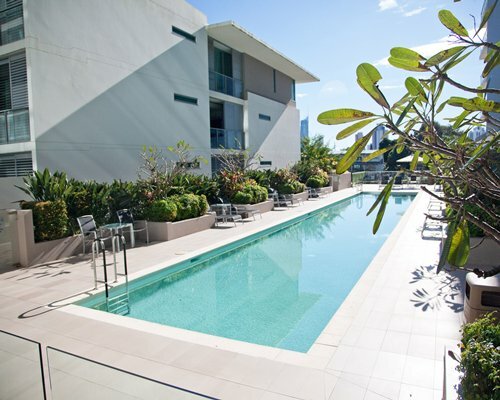 From Brisbane Airport take the Pacific Hwy south to Nerang taking the Nerang- Broadbeach Rd exit (exit 71) and bear left onto the Nerang Broadbeach Rd. 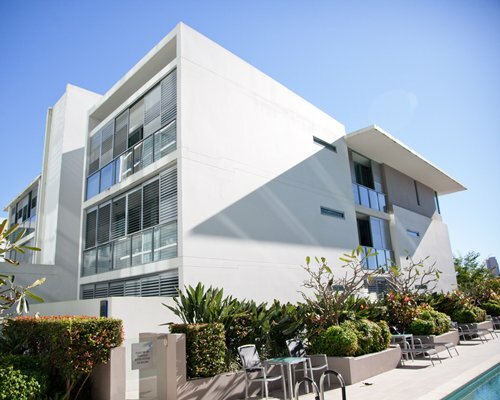 Continue to follow the signs to Broadbeach until you reach the Gold Coast Hwy. 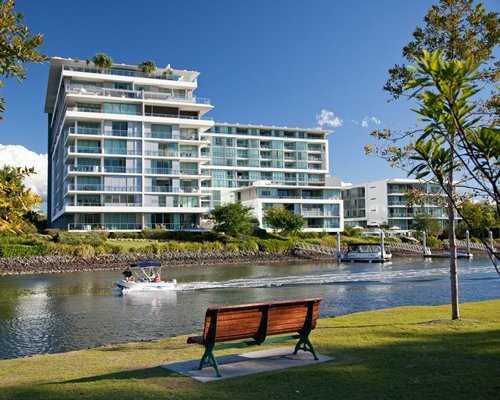 Turn left onto the Gold Coast Hwy and go to the next set of lights and turn left into T E Peters Drive. 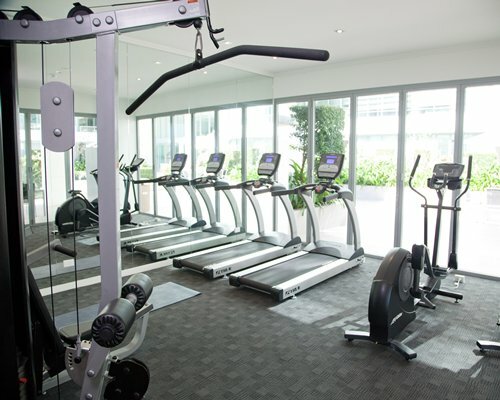 *Bear right at the first roundabout and then straight through next roundabout and then turn right at next roundabout. 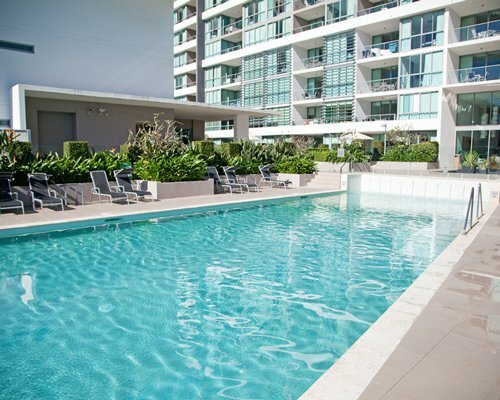 From Coolangatta Airport travel north on the Gold Coast Hwy to Broadbeach and turn left into T E Peters Drive and follow above directions from *.